Nadya is ready to be inducted into the Feline Momma Hall of Fame. Two days after giving birth to her kittens, Nadya was introduced to two one week old orphan kittens in need of a mother. Without hesitation, Nadya accepted them into her heart. She knew something was up when her foster caregiver walked into her room with a carrier. And as soon as she heard one of the kittens cry a second later, she ran over and began licking him all over. She gathered up the two kittens and began nursing them. Now that all of the kittens are older and more mobile, Nadya keeps them on a tight leash. She can make a kitten stop dead in his tracks simply with a look. And should that kitten dare to raise a paw, Nadya will chatter up a storm. The kitten understands. Momma says "Stop!" With a different cry, she can call all of her kittens to her. She is constantly talking to her kittens. She's incredibly attentive. Not only are Nadya's kittens very well behaved, they're also the cleanest kittens ever. The kittens need to learn: run by momma and she'll grab ya and bathe ya. (Or perhaps they have learned this and like being bathed ALL. THE. TIME.) Nadya loves to chatter at her kittens and clean them all up. Nadya isn't all serious all the time. She's teaching her kittens how to wrestle. 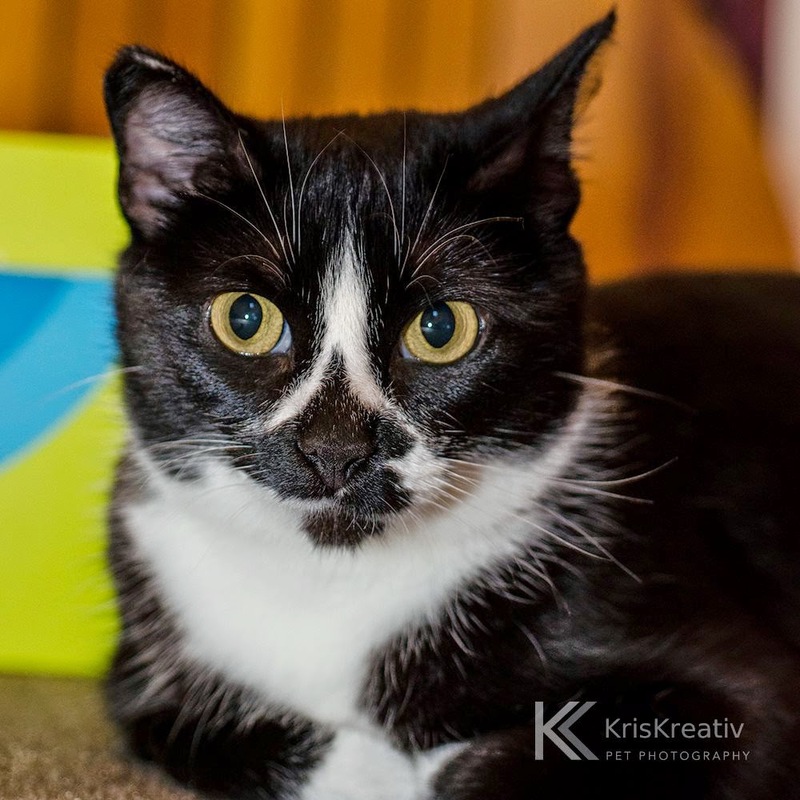 Nadya loves to play and now that her kittens have reached that fun stage, she's enjoying motherhood so much more. Seven little ones to wrestle and play tag with. Momma's got some moves that Hulk Hogan might be interested in! Yes, Nadya is a wonderful mother. She adores her kittens and takes wonderful care of them. She even takes wonderful care of them while in a kennel at the vet during overnight stays, hooked up to an IV and getting plenty of medications pumped into her. She nurses her kittens and cleans up after them even when her temperature is 106. Nadya has had several trips to the vet, with many nights spent at the vet. She's had X-Rays, blood work, IVs, and lots of medications. Why? Nadya has FIV. The virus and the stress of motherhood are teaming up inside Nadya, waging a war that causes her to have alarmingly high fevers, which lead to exhaustion and dehydration. And vet bills. Lots and lots of vet bills. Nadya is quickly working her way into the Feline Rescue Foster record books for vet bills. Most FIV cats have few issues. Hopefully, once Nadya overcomes this first stage of FIV, she, too, will have no more issues. Unfortunately, we need to get this dear momma cat over that hump and on to the road of wellness. To do that, we need your help. Nadya has considered training her kittens to be the Nadya 7, a feline version of the Jackson 5. Most of the kittens are quite good at singing and dancing, except Zotz, who would rather be playing and Fudgie, who is so small she keeps getting lost in the background. And poor Zagnut has two giant left feet.... Biscoff keeps missing practice sessions because he's off napping. Double Stuff keeps wandering away in search of food. Stroopy scared himself with his reflection on the shiny stage floor. Which leaves little Shortbread... who can't really sing (but is quite good at screaming). Nadya needs help. To contribute to Nadya's vet bills, you can donate via either the "Network for Good" or "Pay Pal." Please make sure to enter "Nadya's vet bills" in the Designation field (otherwise it won't get earmarked for Nadya). Any amount will be thoroughly appreciated. Make sure to enter "Nadya's Vet Bills" in the Designation field! Sunshine and Her Kittens Are Ready for Visitors! No-Kill Walk for the Animals Today!